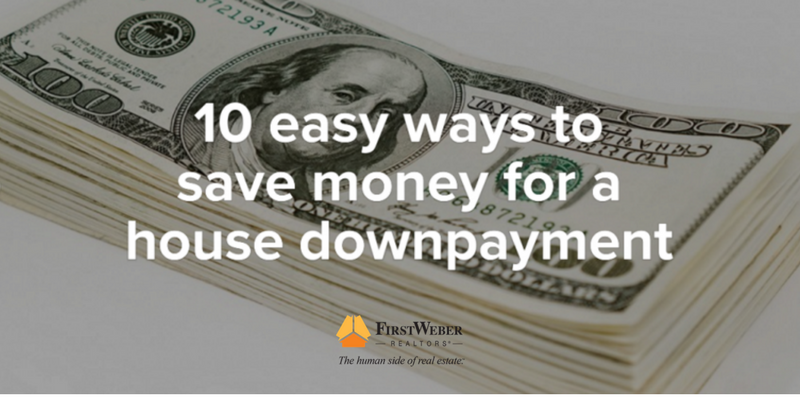 Saving money for a downpayment on a home may seem like a daunting task. But over time, some very simple ways to save money can add up to big dollars. The higher your downpayment, the less you have to borrow, so get started with your savings now. You can do it with these simple tips. Drink water from refillable containers. Spending money on bottled water, soda or other beverages is an expensive way to quench your thirst. Save electricity by turning off lights when there’s no one in the room. Turn down the thermostat and put on more clothes to save on heating costs in cold weather. Bring your lunch to work. Same thing as the coffee. BIG potential saving here. Learn to cook if you don’t know how. Cooking at home is so much more economical than eating out. Consider changing your energy plan to a “Time of Use” plan. Contact your Utility company for more information. Don’t buy anything if it is not on sale. Making that a rule for yourself is a good habit to get into. Don’t be an impulse shopper. Think about it for a day or two to see if you still must have it. All the above are easy fixes to save money and there are certainly more. The sooner you get your downpayment, the sooner you can stop paying rent. Be your own landlord – buy a house. Thanks for reading the First Weber Wisconsin real estate & Wisconsin living blog for tips on how to save money for a downpayment on a house. Here are some additional posts valuable for home buyers. If you’re curious about what is available now in your price range, please search Wisconsin real estate at firstweber.com.